“Anna E. Hall” (2016). Anna E. Hall Collection, Photographs. Image 100. Anna E. Hall was born near Bainbridge, Georgia on March 1st, 1870. 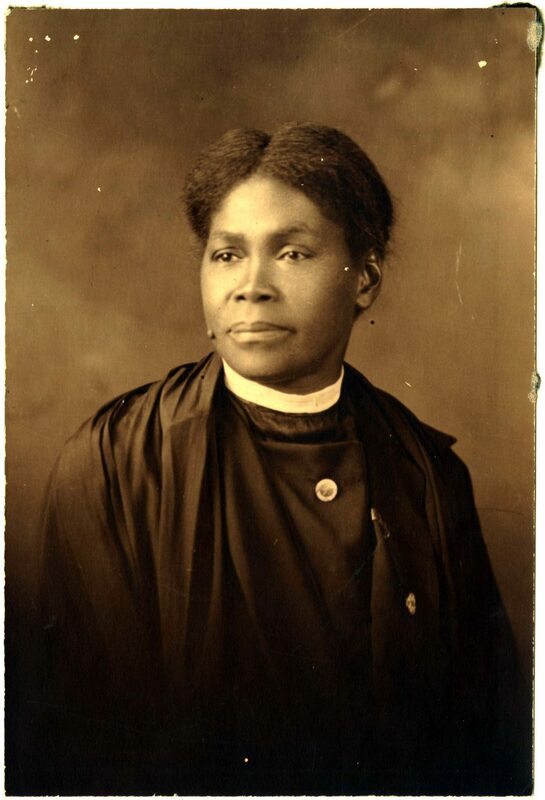 She lived a religiously oriented childhood with her mother, a seamstress, and expressed the desire to serve as a missionary while a student at Clark University (now Clark Atlanta University) in Atlanta, Georgia, where she completed the normal course on May 12, 1892. Her religious training was delayed due to family responsibilities and lack of financial resources: instead she taught school for one year in Ormund, Florida. She then returned to Jesup, Georgia where she served as the Principal of Jesup School for four years. With the generosity of influential people who were made aware of her desire to be a missionary, she entered the New England Deaconess Training School in Boston, Massachusetts in 1899 and graduated May 22, 1901 as the first African American to attend the school. She was then appointed as a Deaconess to work with the Lloyd Street Methodist Church (now the Central United Methodist Church) in Atlanta, Georgia. This work lasted five years, 1901-1906. 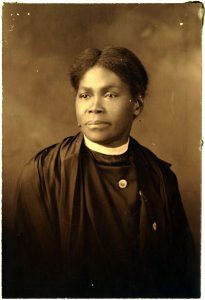 Her missionary work was realized in December 1906, when she travelled to Monrovia, Liberia to teach the Kroo (Kru) people. In her second year she was asked to go to the southern part of the Republic – Garraway – where she became the successor to the Director of the Julia A. Stewart Memorial Girls Home and School, Garraway Mission. She worked there twenty-four years, and was comfortable with all people – presidents, high church officials, college presidents- but chose to identify with those of a more humble status. She retired from her work in Liberia and moved back to Atlanta, Georgia, where she became a familiar figure visiting hospitals, prisons, and homes of sick and troubled people. Affectionately named “Mama Hall” by members of both the Atlanta and Liberia communities where she lived, she was the recipient of many honors. One of these honors was the naming of a new church at the Liberia Garraway Mission in 1952: the Anna E. Hall Methodist Church. Another was the naming of new married student dorms at the Gammon Theological Seminary in 1952: the Anna E. Hall Dormitory for Married Students. She was additionally the recipient of a significant honor from the Republic of Liberia where she was knighted during the inaugural ceremonies of president-elect William V.S. Tubman, and vice president-elect William Tolbert in 1956. She lived in Atlanta until her death in March 6, 1964.